The Election Commission of India today barred UP Chief Minister Yogi Adityanath from campaigning in elections for three days from April 16, for making communally provocative speech. The ECI also found BSP Chief Mayawati to have made communal appeal for votes, and has barred her from campaigning for two days from April 16. The ban is imposed invoking powers of ECI under Article 324 of the Constitution of India, after finding that the leaders have violated para 3 and 4 of Part 1 of the General Conduct of Model Code of Conduct for guidance of Political Parties and Candidates. The ECI had earlier issued show-cause notice to Yogi Adityanath for using the word 'virus' in reference to Indian Union Muslim League, and for invoking the name of 'Bajrang Bali' during a public rally at Meerut on April 9. In the reply to the show-cause notice, Adityanath admitted making such references. "The Commission has again seen the video recording of his impugned speech and is convinced that he has made highly provocative speech which has the tone and tenor to aggravate existing differences or create mutual hatred between religious communities and thus violative of aforesaid provisions of Model Code of Conduct", observed the ECI. It added that Adityanath, being a senior leader and CM of the state, should have desisted from making statements that have the "undertone and propensity to polarize the elections". Being the CM of the state, he has an "added responsibility to not only uphold the basic tenets, including secularism, of the Constitution of India but also to display the same in his public appearances/meetings/speeches as well", said the poll panel. As regards Mayawati, the ECI noted that at a public rally at Deoband on April 7, she had made a special appeal to Muslim minority community for voting in a consolidated manner. The Commission found that she had appealed to secure votes on religious lines. 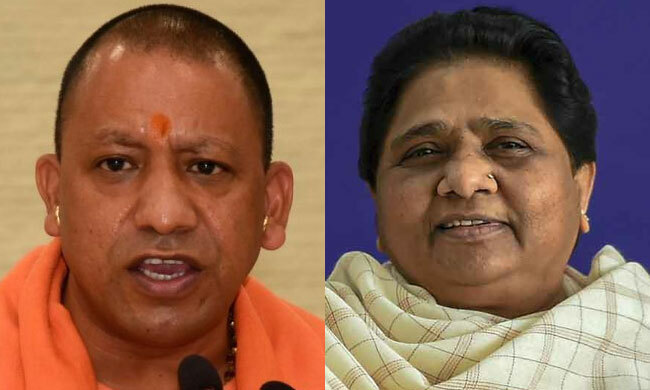 Today,the SC had asked ECI about the action taken against Yogi Adityanath and Mayawati for their provocative remarks. "The power of the ECI in this behalf is very limited...we can issue notice and seek reply but we can't de-recognise a party or disqualify a candidate", the counsel for ECI submitted in responses. Chief Justice Gogoi directed a senior representative of the Commission to be present in court on Tuesday to assist it in examining its power. The Court was considering a PIL seeking guidelines to curb communal speeches during election campaign.